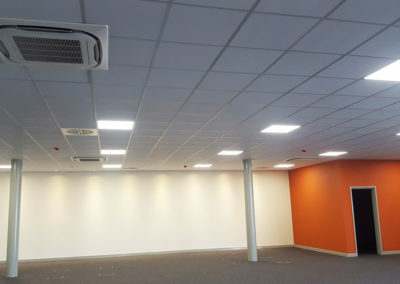 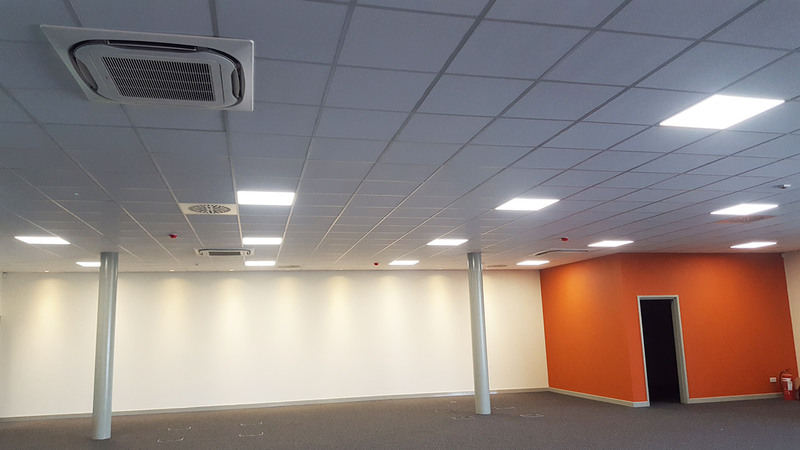 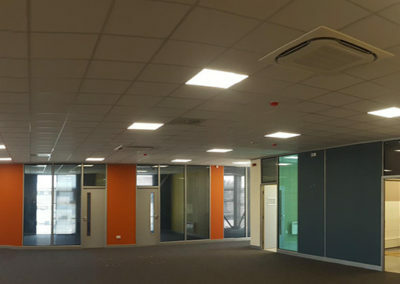 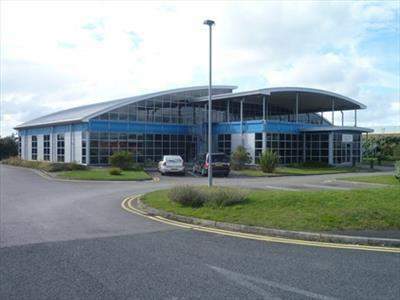 Allcool (NW) Ltd working under instruction from AC Electrical, recently installed 10 X 10KW Daikin cassette style air conditioning systems along with two heat recovery fresh air system’s into Kirkgate House on the Blackpool Business Park off Squires Gate. 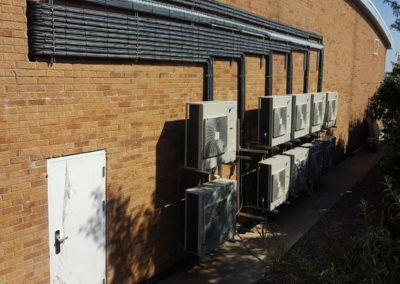 Our first task was to commence with the stripping out of the existing air conditioning systems and remove the old equipment from the site. 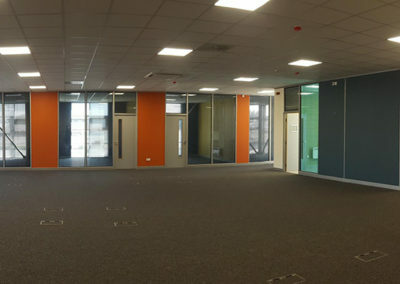 The large open planned area had been divided into 4 distinct open planned areas. 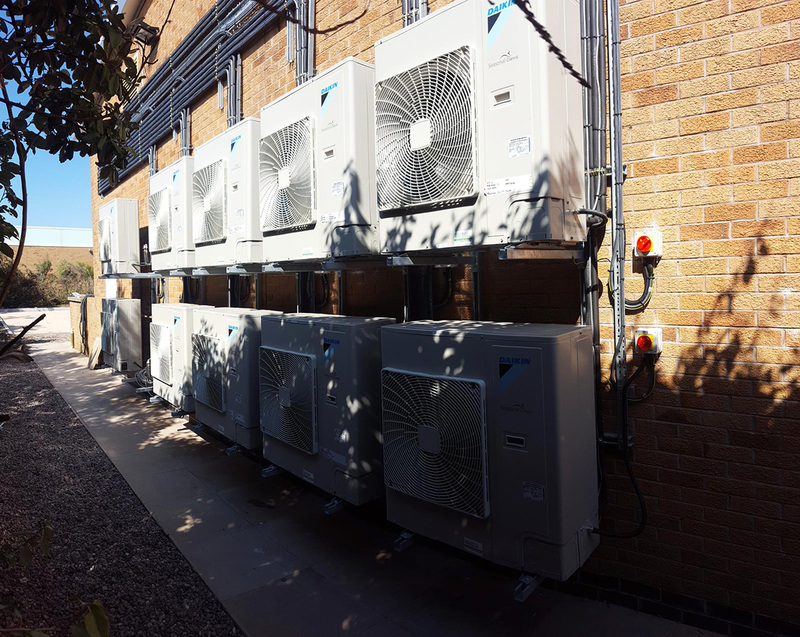 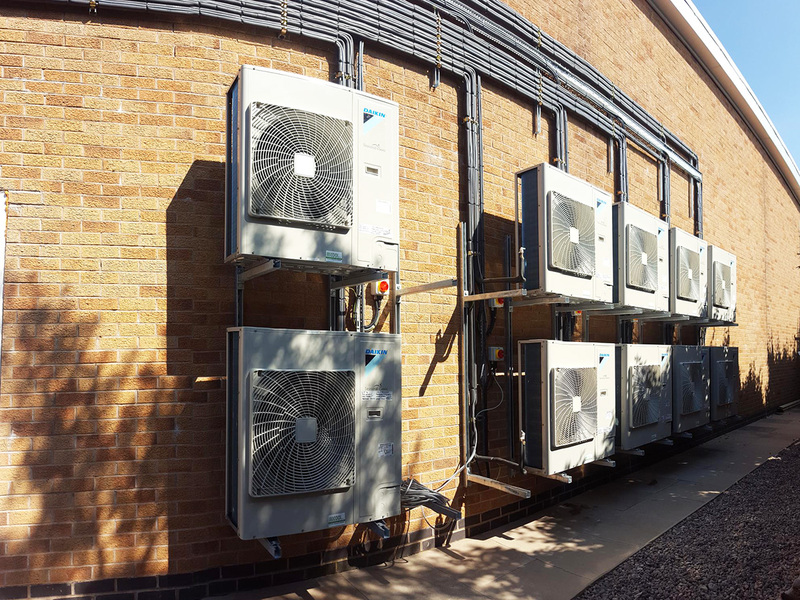 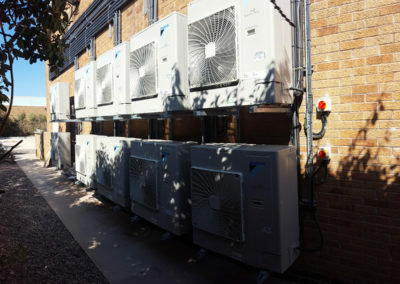 Allcool (NW) Ltd installed 10 X 10KW cassette units that have both cooling and heating capabilities by means of a supper efficient heat pump system. 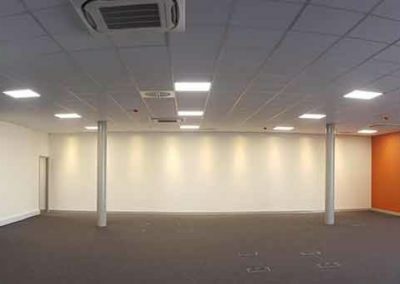 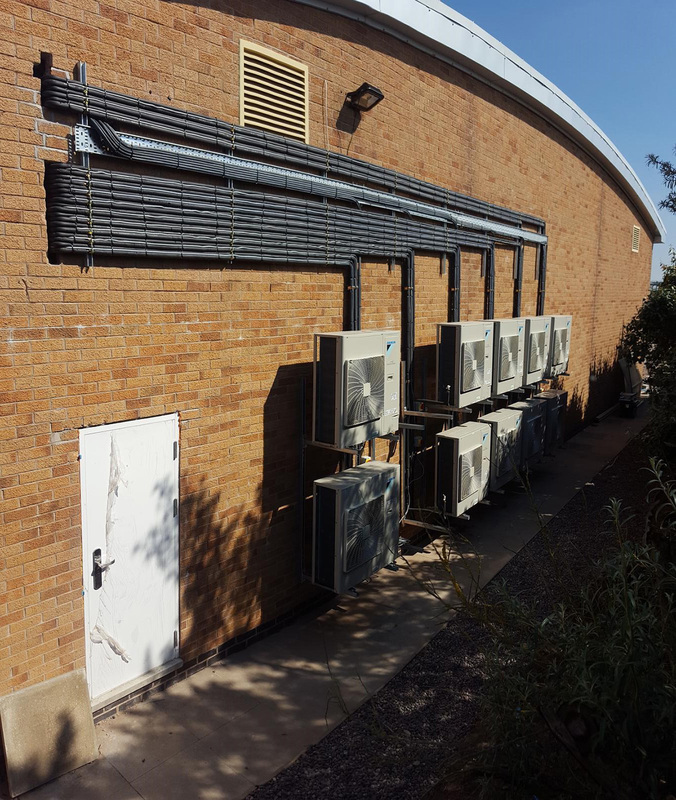 The use of the In-ceiling cassette units was felt to be the optimal solutions and were installed with the outdoor condensing units mounted on cantilever brackets with all wiring and pipework secured neatly inside the cable tray. 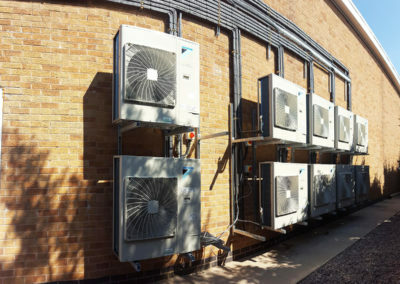 As you can see for yourself, the result was an exceptionally neat and efficient system.